This week was SO much fun. 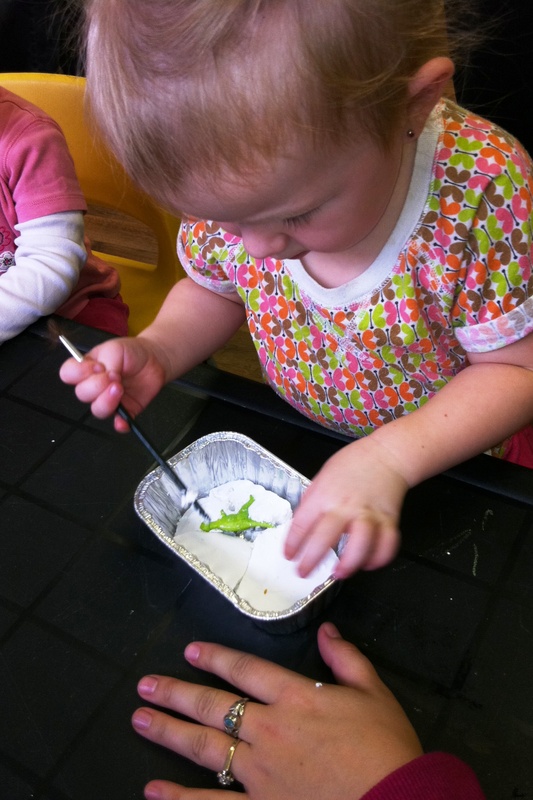 I had fun and I know all of the children did to because there is nothing more fun than DINOS! 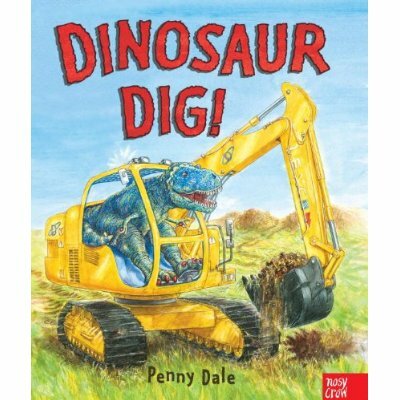 This week we read the book Dinosaur Dig by Penny Dale. It’s the perfect book for small children because it incorporates counting, actions, dinosaurs and big machines – oh yes, which all make very, very loud noises. So our young audience was definately enchanted by this book. 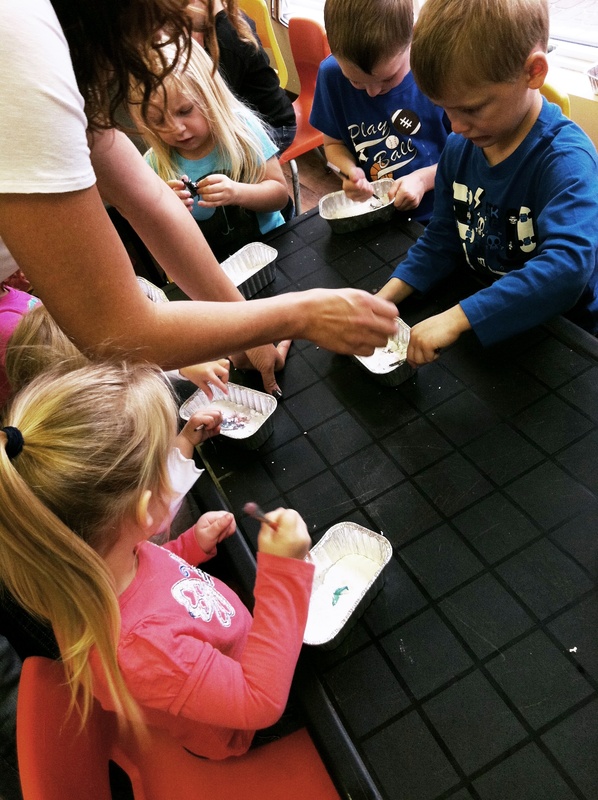 All the kids had fun screaming – but not as much fun as this weeks craft which was, who would have guessed, a Dino Dig! Plaster of Paris – be careful as it sets super fast and gets hot while doing so – Adults only! Small plastic dinos – the size is really up to you. A pick – we used the blunt end of a paintbrush, but a butter knife would work too. Cover as much of your dino as you wish. We let bits stick out so our kids knew where to dig. Let dry. If you mix the plaster properly it will dry straight away, but if it is too thin it could take a few hours. Very watery plaster will have to be repoured because it just won’t set! Let your kids dig! My daughter saw these on my counter before the program today and was so excited, she wanted to dig all of them up!